Replacement and installation projects require expert workmanship, so you should be careful and considerate when it comes to hiring a contractor. You can make the shortlisting process easier by asking the right questions. In this post, your home window repair experts at Quality Home Exteriors lists four questions you should always ask your prospective general contractor. 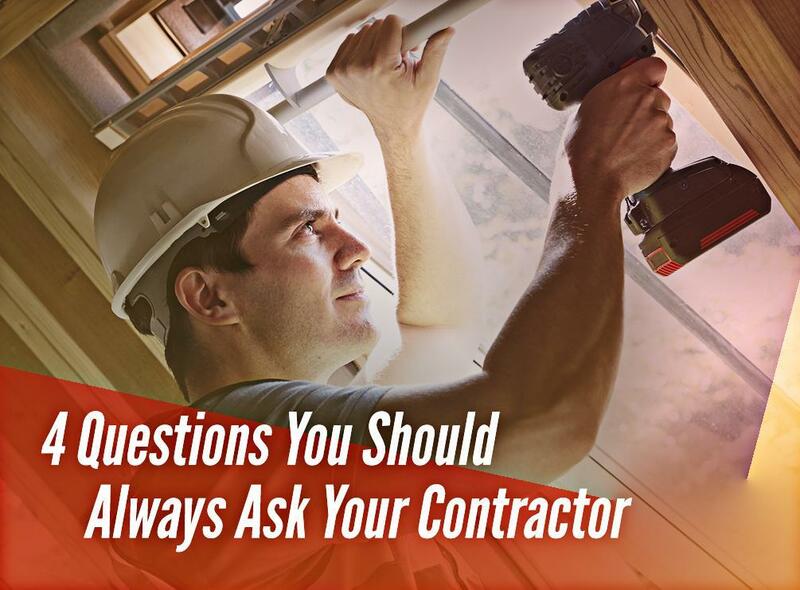 You’ll want to know how experienced your prospective contractor is, so always open with this question. Experienced contractors like us follow strict procedures and quality control that ensure our work is always on time, on budget and will always of the highest quality. No project is too big or too complex for us to handle. States across the country have different requirements in terms of a contracting license; some states don’t even require contractors to secure them. Despite this, it pays to work with a contractor with a license. Our contracting license is a certification and guarantee that we stand by the work we do and that we’ve gone through the right channels to be recognized as experts in home window replacement and general contracting. 3. May I see Your Certificate of Insurance? Similarly, verify if the contractor you’re planning to work with is properly insured. At Quality Home Exteriors, we have both workers’ compensation and liability insurance, which gives you peace of mind that you’re always protected from things beyond your control. Finally, ask your prospective contractor about the payment schedule. It pays to discuss payment terms before construction begins as you’ll be more aware of exactly how much is due and when they expect it. At Quality Home Exteriors, expect only precise window installation. Call us today at (402) 403-5815 to learn more about our services. We offer home window repair and replacement throughout Lincoln, NE and Omaha, NE.